Francis Obikwelu, Portugal, 10.04. 2, Derrick Atkins, Bahamas, 10.04. 3, Nesta Carter, Jamaïque, 10.05. 4, Jaysuma Saidy Ndure, Norvège, 10.10. 5, Michael Frater, Jamaïque, 10.12. 6, Kim Collins, Saint-Christophe-et-Niévès, 10.14. 1, Dayron Robles, Cuba, 13.08. 2, Sergiy Demidyuk, Ukraine, 13.40. 3, David Payne, Etats-Unis, 13.43. 4, Marcel van der Westen, Pays-Bas, 13.50. 5, Ladji Doucoure, France, 13.51. 6, Anwar Moore, Etats-Unis, 13.60. 1, Jeremy Wariner, Etats-Unis, 44.36. 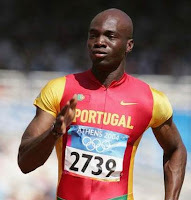 2, LaShawn Merritt, Etats-Unis, 44.37. 3, Chris Brown, Bahamas, 44.73. 4, Reggie Witherspoon, Etats-Unis, 45.33. 5, Joel Milburn, Australie, 45.40. 6, David Gillick, Irlande, 45.52. 1, Amine Laalou, Maroc, 1:44.27. 2, Mbulaeni Mulaudzi, Afrique du Sud, 1:44.61. 3, Youssef Saad Kamel, Bahreïn, 1:44.68. 4, Nadjim Manseur, Algérie, 1:44.75. 5, Alfred Kirwa Yego, Kenya, 1:45.05. 6, Ahmed Ismaïl, Soudan, 1:45.23. 1, Asbel Kiprop, Kenya, 3:31.64. 2, Abdalaati Iguider, Maroc, 3:31.88. 3, Tarek Boukensa, Algérie, 3:31.98. 4, Mehdi Baala, France, 3:32.00. 5, Mohamed Moustaoui, Maroc, 3:32.06. 6, Juan Carlos Higuero, Espagne, 3:32.57. 1, Sileshi Sihine, Ethiopie, 13:04.94. 2, Eliud Kipchoge, Kenya, 13:05.26. 3, Tariku Bekele, Ethiopie, 13:06.00. 4, Mark Kiptoo, Kenya, 13:06.60. 5, Joseph Ebuya, Kenya, 13:06.61. 6, Ali Abdosh, Ethiopie, 13:06.93. 1, Brimin Kipruto, Kenya, 8:15.71. 2, Ezekiel Kemboi, Kenya, 8:16.91. 3, Tareq Mubarak Tayer, Bahreïn, 8:17.65. 4, Patrick Langat, Kenya, 8:19.13. 5, Nahom Mesfin, Ethiopie, 8:21.09. 6, Jukka Keskisalo, Finlande, 8:22.35. 1 Irving Saladino, Panama, 8.30. 2, Mohamed Al-Khuwalidi, Arabie saoudite, 8.22. 3, Hussein Taher Al-Sabee, Arabie saoudite, 8.08. 4, Brian Johnson, Etats-Unis, 8.08. 5, Godfrey Mokoena, Afrique du Sud, 8.06. 6, Roman Novotny, République tchèque, 7.77. 1, Tero Pitkamaki, Finlande, 87.70. 2, Tero Jarvenpaa, Finlande, 84.53. 3, Eriks Rags, Lituanie, 83.45. 4, Andreas Thorkildsen, Norvège, 82.31. 5, Robert Oosthuizen, Afrique du Sud, 81.54. 6, Vadim Vasilevskis, Lituanie, 81.27. 1, Brigitte Foster-Hylton, Jamaïque, 12.60. 2, Delloreen Ennis-London, Jamaïque, 12.62. 3, Candice Davis, Etats-Unis, 12.72. 4, Sally McLellan, Australie, 12.73. 5, Priscilla Lopes, Canada, 12.77. 6, Josephine Onyia, Espagne, 12.85. 1, Kerron Stewart, Jamaïque, 22.34. 2, Sanya Richards, Etats-Unis, 22.49. 3, Muriel Hurtis-Houairi, 22.50. 4, Rakia Al-Gasara, Bahreïn, 22.65. 5, Carmelita Jeter, Etats-Unis, 22.83. 6, Sherone Simpson, Jamaïque, 22.88. 1, Allyson Felix, Etats-Unis, 50.25. 2, Novlene Williams, Jamaïque, 50.79. 3, Shericka Williams, Jamaïque, 50.83. 4, Amanthe Montsho, Botswana, 51.17. 5, Mary Wineberg, Etats-Unis, 51.27. 6, Kaliese Spencer, Jamaïque, 51.56. 1, Melaine Walker, Jamaïque, 54.36. 2, Anna Jesien, Pologne, 54.71. 3, Tiffany Ross-Williams, United States, 54.97. 4, Shevon Stoddart, Jamaïque, 54.98. 5, Benedetta Ceccarelli, Italie, 56.00. 6, Sheena Johnson-Tosta, Etats-Unis, 56.02. 1, Pamela Jelimo, Kenya, 1:55.69. 2, Janeth Jepkosgei, Kenya, 1:58.74. 3, Yuliya Krevsun, Ukraine, 1:58.75. 4, Maryam Yusuf Jamal, Bahreïn, 1:59.34. 5, Lucia Klocova, Slovaquie, 1:59.42. 6, Tamsyn Lewis, Australie, 1:59.43. 1, Tirunesh Dibaba, Ethiopie, 14:36.58. 2, Meselech Melkamu, Ethiopie, 14:38.78. 3, Priscah Jepleting Cherono, Kenya, 14:45.12. 4, Kimberly Smith, Nouvelle Zélande, 14:45.93. 5, Peninas Chepchumba, Kenya, 15:00.26. 6, Ejegayenu Dibaba, Ethiopie, 15:09.93. 1, Blanka Vlasic, Croatie, 2.00. 2, Yelena Slesarenko, Russie, 1.98. 3, Tia Hellebaut, Belgique, 1.98. 4, Marina Aitova, Kazakhstan, 1.95. 5, Antonietta Di Martino, Italie, 1.95. 6, Emma Gree, 1.90. 1 Yelena Isinbayeva, Russie, 5.03 (record du monde). 2, Monica Pyrek, Pologne, 4.75. 3, Silke Spiegelburg, Allemagne, 4.70. 4, Svetlana Feofanova, Russie, 4.65. 5, Fabiana Murer, Brésil, 4.65. 6, Yulyia Golubchikova, Russie, 4.55.